I took up crew rowing in an 8-oared shell at age 50 with a local community club here in my hometown. One thing I learned quickly is that we must each trust one another to do our jobs -- and with perfect timing -- or the boat simply won’t go fast, or worse, won’t go at all. It may seem to be a simple exercise, but the fruits can be very rewarding. Knowing one another and how you grew up, what challenges you faced in your personal life, etc., helps add a human touch to team dynamics. It makes us see our co-workers in a new light. We are able see things in them that we’ve never seen before, and as a result, we care about them more deeply. We feel a greater connection with them which fosters camaraderie and understanding. It inspires a renewed sense of accountability to each other and commitment to the things you have come together to achieve. 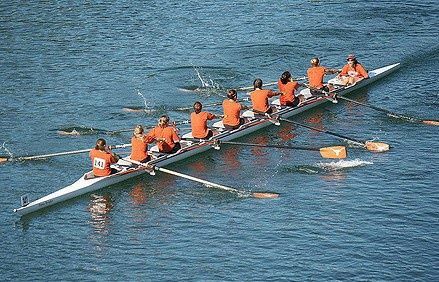 Looking at your leadership team, are they all rowing together? Are they all “the right people, in the right seats”? If not, how does this affect the speed of your company? It may be time to start by building some understanding that will allow you to trust one another and row together in the same direction, at the same speed.